Rowland's Associated Student Body is an organization dedicated to providing co-curricular activities and support services for the students. 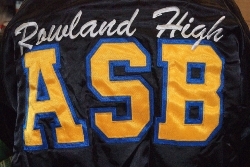 The student members of Rowland's ASB are responsible for organizing assemblies, dances, lunch time activities, athletic events, Renaissance recognition events, support activities and registration procedures. The ASB Office serves as the Raider student store as well as the student accounting office. Students may buy such items as yearbooks, clothing, school supplies, parking permits, dance tickets and spirit items. The ASB Leadership Class is a year-long commitment. 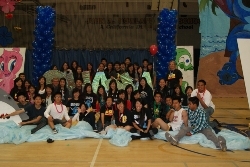 The class is made up of ASB Officers and Class Officers. There are 5 Senior Class Officers, 5 Junior Class Officers, 5 Sophomore Class Officers and 5 Freshmen Class Officers who are elected in April and serve a one-year term from September to June of the following school year. There are over 20 ASB officers who are elected or appointed starting in April and serve a one-year term from July to June. The ASB elected offices consist of President, Vice President, Speaker of the House, Secretary, Treasurer and Member at Large positions. Some of the appointed positions consist of Commissioner of Assemblies, Commissioner of Athletics, Commissioner of Publicity, Commissioner of Technology, Commissioner of Rallies, Commissioner of Renaissance and Commissioner of Recognition.